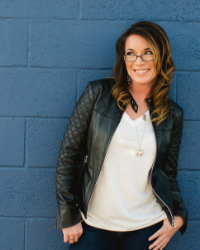 Managing a food blog (and yes, I did say managing for those of you who snorted because it has become a rather time consuming hobby) can be very crucial to a happy home. There is a list a few pages, sticky notes and magazines clippings long of recipes I want to try, nibbles and bites that I would love to experiment with and ingredients I would have to do a google search to identify and find. I could fill 3 squares for 365 days plus snacks and desserts, never repeat a recipe once and probably only result in adding even more to the dreaded ‘to make’ list. This seems all fine and dandy for the rest of you food bloggers out there, but for a home, some meals are necessary to please everyone, and as a cook, isn’t that ultimately the goal? Negotiations must be made, onion portions halved (and even then minced into minute little unrecognizable pieces), and sometimes ingredients neglected to be noted when meals are served. And sometimes, we meals are made just for the other people in mind. A customer of mine at the comic shop asked for a Chicken Marsala recipe for her large family and I was happy to oblige as this would also make our rather tiny household happy. This creamy, onion free, comforting meal came together quicker than you would think after an exhausting bike ride on a Friday night. I knew if I served it with potatoes we would over indulge, so I served this over a small portion of Spinach-chive linguine from Trader Joes and pretended that it counted for some serving of vegetables. If I had more energy, a small spinach salad would have gone wonderfully with this as well. *I didn’t have pancetta on hand so I substituted bacon for that is always in my fridge. That looks scrumptious 🙂 Chicken Marsala is always my favorite non-pasta choice when I go out to Italian restaurants!! You make it sound so easy…and delicious! sigh, it totally is a busy hobby to have..but it’s fun and delicious at the same time 🙂 your chicken marsala looks so good. mine always looks so colorless and sloppy. I need to try this recipe! It is hard work havnig a blog! I hear ya. 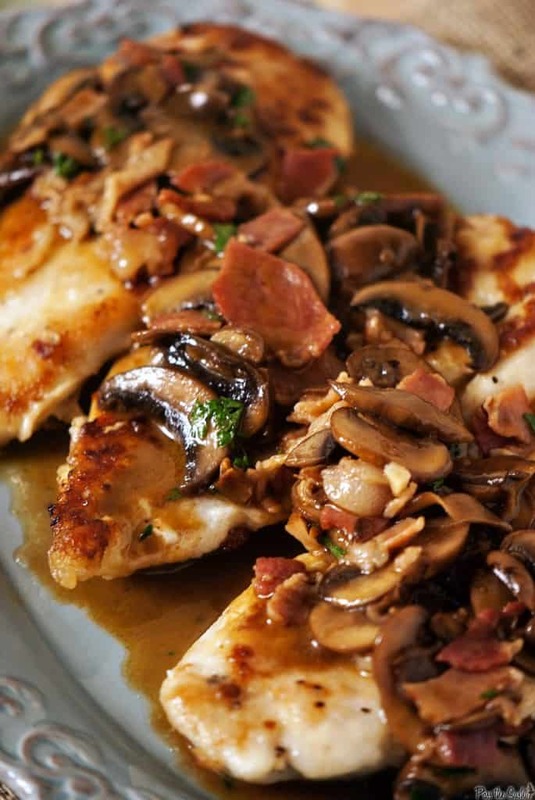 This looks wonderful- love chicken marsala! So does Lloyd, but he “hates” mushrooms, so I get all of his! My to make list grows much faster than the rate I make them. As a result I very rarely make anything twice. If I do, it must be freaking outstanding haha. I love chicken marsala, and have been craving it lately. Now I need some for sure! This looks so good! I am definitely going to have to try this recipe! Such a classic – perfect comfort food, since I am a huge mushroom fan anyways. Looks yummy! I have never thought to add bacon to chicken marsala! YUM! Great looking chicken Marsala and I can totally relate. Even though he’s a great sport, sometimes I just have to cook a favorite meal for Brian and not worry about photographing it or blogging about it. I’m so making this for din-din! And I’m totally with you about the steps it takes to operate a food blog. The hubby hates it because, like you mentioned, nothing is ever repeated. So when I make this he better enjoy every bite, cuz he’ll never see it again! Pancetta and marsala are not good flavor matches and the lemon juice is an unnecessary acid added, the tomato paste should be plenty. I love chicken marsala and am due to make it 🙂 thanks! Ooooh, yummy. Looks like a great date night dinner to me! I have the same problem sometimes. My creative efforts are met with lackluster response from boyfriend. He also refuses to eat seafood and pork… It’s tricky. I think he would like your chicken though! Chicken marsala is one of my favorite dishes. And I love TJ’s spinach-chive linguini. 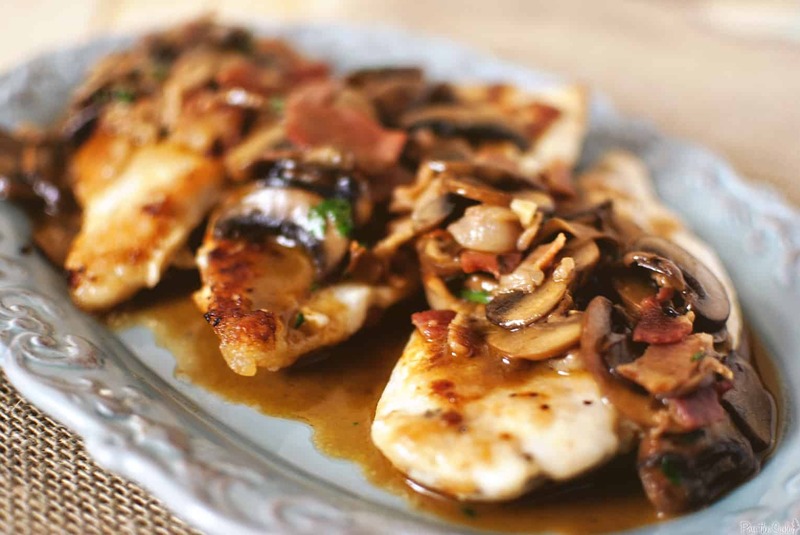 i love chicken marsala, yours looks fantastic! Made this tonight and instead of using 4 chicken breast, used just one large breast, sliced 4 ways and pounded down, dredged in cornstarch instead of flour, substituted turkey bacon for the pancetta, and finally added 1 angel hair pasta nest (50 cal) for each piece of chicken breast to rest upon. Fantastically light dish! I just made this for lunch, OMG it was good. I didnt have Bacon or Panceta so I left that out. Also at the end I wanted more of a thinner sauce so I reduced it with some chicken broth. YUM YUM!!! I’m thinking this is the best Chicken Marsala I’ve ever had, even at a restaurant. I never leave comments…. so this is a special occasion, because this recipe was AMAZING!!! Even my 6,11 and 13 year olds loved it (who don’t like mushrooms). Thanks for posting this! Delicious!! You stole this recipe from Americas Test Kitchen recipe book…it’s funny, you can remember this Friday night bike ride but….. Manage a food blog. What’s wrong w people! Right down to the Julie n Julia esque daily recipe blog. Funny, you must have missed the link to the book and the credit given to the recipe directly below the title. My mad writing skills must have had you so blown away you simply forgot to check. What’s wrong with people! I was interested in your recipe but I’m going to actually follow your blog just because of this reply. Beautiful. This is classic and delicious. No house should be without this recipe! I just made this tonight! I substituted the flour for gluten-free flour. 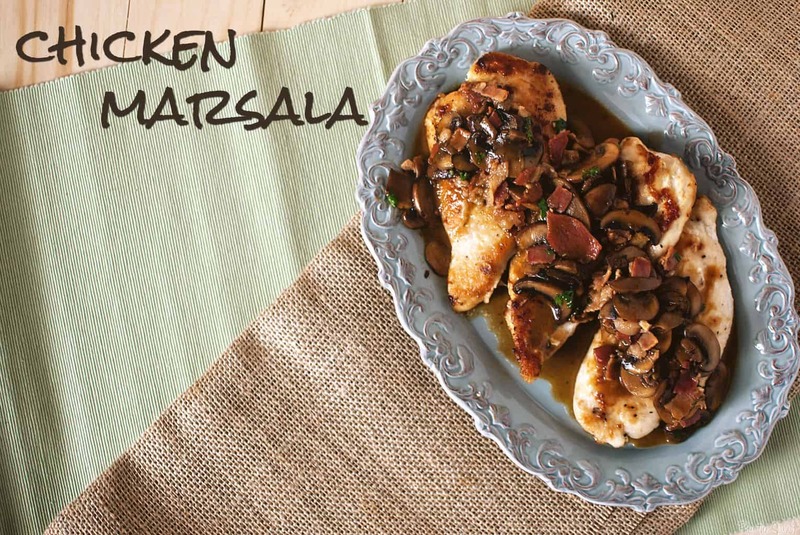 I have to say this is one of the best Chicken Marsala recipes I’ve tried! Thanks for sharing! Made this tonight and it was wonderful! Thanks for the recipe. Delish! Hubby said it was restaurant quality! I substituted bacon for panceta and pinot grigio for the marsala, still yummy. Thank you for posting this 3 and half years ago. I am so glad you enjoyed this! It is great to hear when someone puts these recipes to use! I’m going to make on Saturday, what I serve with this main course? Green salad, cheese asparagus and mini cheese cake for desert. I am so sorry for just getting to this Marlene. I was traveling and just got in yesterday. What did you end up serving it with?